Because of the country’s small size and high labor specialization, industry and trade are the keys to Switzerland’s economic livelihood. Switzerland has achieved one of the highest per capita incomes in the world with low unemployment rates and a balanced budget. The service sector has also come to play a significant economic role. Switzerland is one of the leaders in exports of high-end watches as well as clocks, Swiss watch making companies produce most of the world’s high-end watches, in 2011, the exports of Switzerland reached nearly 19.3 billion CHF. Swiss watch manufacturers exceeded their previous annual result by 19.2%. The exports of those watches mainly go to Asia (55%), Europe (29%), America (14%), Africa and Oceania (both 1%). In USD, Switzerland has an export, in 2011, of over USD$20 billion, making it the country with the highest export value of watches, followed by Hong Kong, at under USD$10 billion. However, China exports the most watches (all watches), at a total of 682.1+ units (in millions), followed by Hong Kong at 402.7, then Switzerland at 29.8 million units. Switzerland has an extensive industrial sector, which is not very well known around the world, but present with companies in different industrial sectors, such as: food processing like Nestlé, chemical for industrial and construction use like Sika AG, pharmaceutical like Novartis and Roche and roof coating chemicals Sarnafil. According to the Organisation for Economic Co-operation and Development (OECD), Switzerland is subsidising more than 70% of its agriculture compared to 35% in the EU. The 2007 Agricultural Program, recently adopted by the Swiss Federal Assembly, will increase subsidies by CHF 63 million to CHF 14.092 billion. Protectionism acts to promote domestic production, but not to reduce prices or the cost of production, and there is no guarantee the increased domestic production is actually consumed internally; it may simply be being exported, to the profit of the producers. 90 to 100% of potatoes, pork, veal, cattle and most milk products, are produced in the country. Beyond that, Swiss agriculture meets sixty-five per cent of the domestic food demand. The first reform in agricultural policies was in 1993. Among other changes, since 1998 Switzerland has linked the attribution of farm subsidies with the strict observance of good environmental practice. Before farmers can apply for subsidies, they must obtain certificates of environmental management systems (EMS) proving that they: “make a balanced use of fertilizers; use at least 7% of their farmland as ecological compensation areas; regularly rotate crops; adopt appropriate measures to protect animals and soil; make limited and targeted use of pesticides.” 1,500 farms are driven out of business each year. But the number of organic farms increased by 3.3 percent between 2003 and 2004, and organic sales increased by 7 percent to $979 million. Moreover, Swiss consumers consider less important the drawback of higher prices for organic food compared to locally produced, conventional food. The CIA World Factbook estimates Switzerland’s 2011 exports at $308.3 billion and the 2010 exports at $258.5 billion. Imports are estimated to be $299.6 billion in 2011 and $246.2 billion in 2010. According to the World Factbook numbers, Switzerland is the 20th largest exporter and the 18th largest importer. The United Nations Commodity Trade Statistics Database has lower numbers for Switzerland’s exports and imports. The UN calculates exports at $223.5 billion in 2011 and $185.8 billion in 2010. The value of all imports in 2011 was $197.0 billion and in 2010 it was $166.9 billion. Switzerland’s largest trading partner is Germany. In 2009, 21% of Switzerland’s exports and 29% of its imports came from Germany. The United States was the second largest destination of exports (9.1% of total exports) and the fourth largest source of imports (6.7%). Switzerland’s neighbors made up next largest group; Italy was third for exports (8.6%) and second for imports (10%), France was fourth for exports (8%) and third for imports (8.1%) and Austria was fifth for exports (4.6%) and sixth for imports (3.7%). Major non-European trading partners included; Japan (seventh for exports with 3.6% and twelfth for imports with 2%), China (eighth for exports and imports with 3.1% and 2.5% respectively) and Turkey (sixteenth for exports with 1.2% and ninth for imports with 2.3%). As a first world country with a skilled labor force, the majority of Swiss exports are precision or ‘high tech’ finished products. Switzerland’s largest specific SITC categories of exports include; medicaments, glycosides and vaccines, watches, orthopaedic appliances and precious jewellery. Some raw ores or metals are exported, but the majority of the exports in this category are finished jewellery or other finished products. 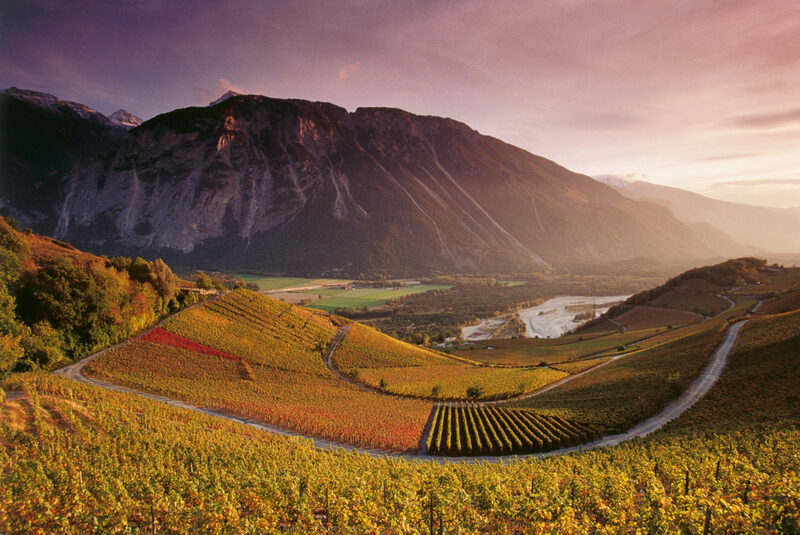 Agricultural products that Switzerland is famous for, such as cheese (0.29%), wine (0.05%) and chocolate (0.39%) all make up only a small portion of Swiss exports and agricultural products make up only a small portion of all exports. Switzerland’s main imports include; medicaments, cars, precious jewellery and other unclassified transactions. While Switzerland has a long tradition of manufacturing cars, there are currently no large-scale assembly line automobile manufacturers in the country. Switzerland has a highly developed tourism infrastructure, especially in the mountainous regions and cities, making it a good market for tourism-related equipment and services. The total financial volume associated with tourism, including transportation, is estimated to CHF 35.5 billion (as of 2010) although some of this comes from fuel tax and sales of motorway vignettes. The total gross value added from tourism is 14.9 billion. Tourism provides a total of 144,838 full time equivalent jobs in the entire country. The total financial volume of tourist lodging is 5.19 billion CHF and eating at the lodging provides an additional 5.19 billion. The total gross value added of 14.9 billion is about 2.9% of Switzerland’s 2010 nominal GDP of 550.57 billion CHF. In 2003, the financial sector comprised an estimated 11.6% of Switzerland’s GDP and employed approximately 196,000 people (136,000 of whom work in the banking sector); this represents about 5.6% of the total Swiss workforce. Swiss neutrality and national sovereignty, long recognized by foreign nations, have fostered a stable environment in which the banking sector was able to develop and thrive. Switzerland has maintained neutrality through both World Wars, is not a member of the European Union, and was not even a member of the United Nations until 2002. Currently an estimated 28 percent of all funds held outside the country of origin (sometimes called “offshore” funds) are kept in Switzerland. In 2009 Swiss banks managed 5.4 trillion Swiss Francs. The Bank of International Settlements, an organization that facilitates cooperation among the world’s central banks, is headquartered in the city of Basel. Founded in 1930, the BIS chose to locate in Switzerland because of the country’s neutrality, which was important to an organization founded by countries that had been on both sides of World War I. In May 2006, foreign banks operating in Switzerland managed 870 billion Swiss francs worth of assets.